For readers 18+. Ends in a cliffhanger. 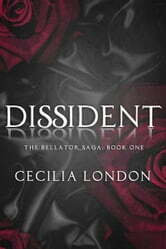 Cecilia London takes you on the rollercoaster ride of your life. It is filled with twists And turns ups and downs and a ride that truthfully you don't want to get off because it is that thrilling. Awesome storyline. ..... you won't regret reading it, trust me. I fell in love with this author because of Dissident. It’s no secret that I’m not a fan of cliffhangers and books that have several parts (which I was unaware of until I’d committed myself) and the fact that this is 1 of 6 parts almost made me want to put it aside, but it has politics and romance in it and I love both of those things. I’m glad I took a chance on this because Ms. London knocked this out of the park, for a debut! DISSIDENT employs a mix of flashbacks and present-day narratives to introduce the reader to Caroline Gerard, John Montgomery McIntyre (AKA Jack) and an America where a brutal regime has taken over and all power resides in the executive arm with both the legislature and judiciary rendered ineffectual; an America where the slightest opposition to the government is considered dissension and the military has become a personal goon squad used to stamp out opposition by any means necessary and with territories seceding? Absolute chaos and fear rules. 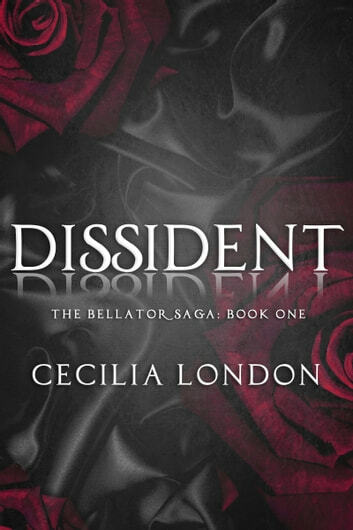 The focus of DISSIDENT is the development of the romance between Caroline and Jack and I really enjoyed it especially because they belong to opposing parties and their relationship had a shaky start. Caroline is a Democrat, Jack is belongs to the GOP and Caroline’s scathing remarks about Jack’s candidacy set the stage for their less than favorable first meeting but they become friends and then a romantic relationship develops between them. But this is D.C., where secrets and scandals thrive and being on opposing sides of the aisle means that they have to keep their relationship private and mostly out of the media’s eye. Unfortunately, it’s not all about Caroline and Jack’s relationship. There are different political agendas in play and the game is on, one that puts Caroline’s relationship with Jack in danger. DISSIDENT blends passion, romance, conspiracies, murder and uncertainty and by the first chapter, I was hooked and interested in what would happen in the rest of the series. I enjoy politics and have been known to spend a lot of time following the political happenings out of D.C. so I really enjoyed how Ms. London incorporated all of that into this book. Her characters are well-developed, mature people who find the balance between their personal and public lives; who are great together and who in spite of their different political positions, actually have a lot in common. Ms. London’s writing style is amazing, with a steady pace to the story and every piece of it appears to be relevant to whole story. There are so many questions unanswered and I will love to see what she does with the series and what the future holds for Caroline and Jack and also what happens to the country. Disclaimer: I received this book for free from the Author in exchange for an honest review. This does not affect my opinion of the book or the content of my review.